Keeping its high stock price of Sh240 for the past three months, up from Sh190 earlier this year, the board of TOL Gases was proud to proclaim another example of profit increase to it shareholders a few days ago. TOL Gases has noted record revenue growth of 26% this year. Mr. Temu, Chairman of TOL Gases, credits the growth to the execution of strategic initiatives and projects, including the expansion of their CO2 production capacity from 5,040 tonnes to 19,000 tonnes a year. Investments in infrastructure and technology are expected to help underline the projection of growth for TOL Gases. This is deemed necessary given TOL Gases’ ambition is to be the partner of choice in the Liquefied Petroleum Gas market, a booming market for Tanzania. 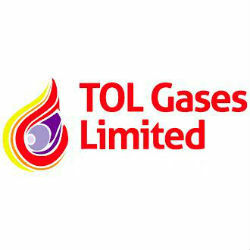 TOL Gases Limited produces industrial and medical gases. The company offers industrial oxygen, dissolved acetylene, nitrogen, compressed aid, argon, hydrogen, white spot, nitrogen, carbon dioxide, medical oxygen, nitrous oxide. It also engages in welding and metal fabrication. The company was formerly known as TOL Limited and changed its name to TOL Gases Limited in September, 2006. TOL Gases Limited was founded in 1950 and is based in Dar es Salaam, Tanzania.